In 2011 I started playing with android development and when later I won a HTC Desire development took speed. My first project was to develop a HP41CV simulator. My long missed - and never properly replaced - calculator destroyed by a leaking battery some 15 years ago. A HP41CV was also the first platform on which I was paid to develop. During my geological studies I was paid to implement a programme to calculate geological date’s routine on a HP41CV equipped with a magnetic card reader. To put some extra into the project I decided to make it open source and put the source on SourceForge. In december 2012 the total number of downloads of my now four programmes on Google Play exceeds 100,000 downloads. The most downloaded programme is my SQLite frontend which has been downloaded nearly 70,000 times. My HP41 simulator has the most faithfull users - nearly half of all installs are still active. 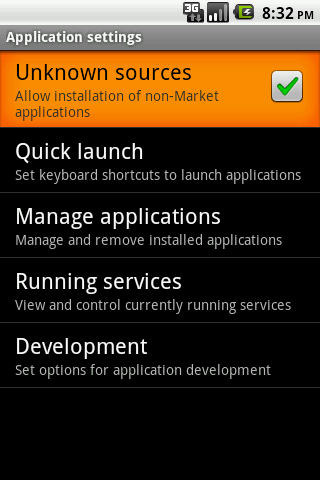 aShell is my preparations to make aSQLiteManager works on rooted devices and allow editing of system databases. It works by gives problems on some devices. When it woks as it should the root editing will be merged into aSQLiteManager. When I developed the a41cv I decided to place a list of build in functions, description, state of development, their argument and eventual key assignment in a SQLite database (the type of database used internally by Android). After a short while I realised that you cannot easily open a SQLite database on an Android device to see how the changes in a programme changed the database. I quickly decided that the next app to develop would be a SQLite browser to enable me to see the structure of the database. From viewing a database to query and update the database is not that far away so the SQLite browser turned into a SQLite Manager. Both app’s are have been released in production versions. However I am still developing both programmes. Any ideas for further development are welcome. I hope to be able to publish both programmes at Google Marked as well. The source code as well as later development versions of these programmes can be found at on SourceForge. You fin the aps at Google Market. You can find the source code of a41cv and aSQLiteManger on SourceForge.net where I have published them as open source. How to installe a41cv and aSQLiteManager? From Application settings check "Unknown sources"
After this install the apk file on your phone for example using the syncronisation tool matching your phone.